Nowadays our society is full of problematic and unhealthy products everywhere, which cause us to feel that our health is at risk. 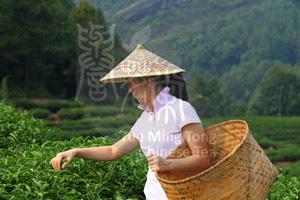 Yue Ming Tong gives its sincere guarantee of safe and quality tea, and hopes to bring to you health, confidence and warmth. Our tea comes directly from the Mount Wu Yi (Fujian Province), an area of magnificent mountains and rivers, and where our tea garden is located. Starting from tea selection to tea processing and then end products, we take part in each process diligently to ensure our tea leaves are of premium quality. Meanwhile, all of our tea and the bags for tea packaging are tested by Enviro Labs Ltd which is recognised by the Hong Kong Government, in order to ensure that you can truly enjoy each sip of our quality tea without worries. Yue Ming Tong upholds the belief of “making good tea with diligence” as well as the objective of “health concern”, and will continue to bring to you various types of healthy premium tea.